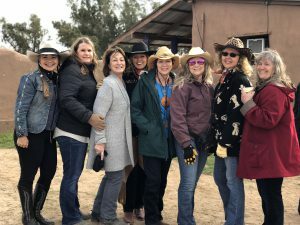 When you combine amazing women, fabulous food, creative workshop, music, horseback riding, shopping, Cowgirl Church with breakfast on the desert, and a ton of laughter with the cowgirl spirit, you get the Cowgirl True Girlfriend Getaway Weekend. Whether you are a real deal cowgirl, simply have the cowgirl spirit or would just love to get away with your girlfriends for a unique and fun-filled weekend, this is just the ticket. 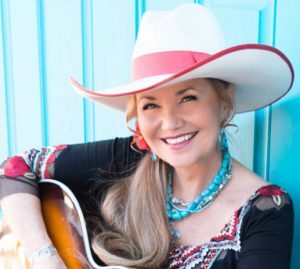 This amazing getaway is hosted by multiple award-winning singer/songwriter Belinda Gail. Set against the backdrop of the beautiful, historic Rancho de la Osa, it is a physically rejuvenating and a faith based/spiritually refreshing weekend. It has just the right balance of fun activities and precious relaxation time. The lighthearted and adventurous cowgirl spirit permeates the entire weekend with heavy doses of laughter and camaraderie to bring it all together. For ladies 21 and older, we would love for you to come join us! 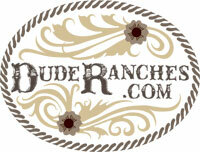 Rates are subject to a 15% ranch service fee and 8.1% tax.